Jeff Keeton, former mayor of Hazel Park, started work at the racetrack at age 15. The Hazel Park Raceway opened in 1949 as the country�s first five-eighths-mile track. The Hazel Park Raceway was an iconic part of this Detroit inner ring suburb. Jeffrey Keeton vividly remembers “hot-walking” the horses at Hazel Park Raceway as a teenager. Leading the thoroughbreds around in circles after their training to cool them down was one of the many jobs the former mayor of Hazel Park held at the legendary raceway. Starting when he was 15 years old, Keeton, now 69, was one of the many local residents who drew a wage from the track. When the Hazel Park Raceway closed in April this year, it was a bitter-sweet moment for the city. It marked the end of an era for the Detroit neighborhood, but it's paving the way for new growth. Four months on, the city is already feeling the benefits of change and, with two new buildings planned for the site, city officials are excited about employment opportunities for residents. Those opportunities come, however, at the cost of losing a stalwart institution. "The raceway was an iconic business for the city of Hazel Park,” says city manager Ed Klobucher. Opened in 1949 as the country’s first five-eighths-mile track, Klobucher says the landmark was what the city was best known for from the 1950s to the 1980s. He adds that its influence on Hazel Park's initial growth and development cannot be overstated. "In the 1950s, the revenue from the Hazel Park raceway was responsible for almost 50 percent of the city's general fund revenue," he explains. "That's how important the raceway was to the city then." At the height of its success, the raceway was Hazel Park's largest business, the largest employer and largest taxpayer, leaving a profound impact on the community. "The racetrack was a great place to go on a Friday or Saturday night, to watch live racing and have a good time" says Klobucher. "It was a great night out." Keeton remembers just how popular those evenings were. However, the glory days of the raceway didn't continue into the 21st century. "By the time it left, the revenue that it was generating for the city of Hazel Park was probably less than 2 percent," Klobucher says. He believes it was new forms of legalized gaming that contributed to the decline of the track, and the racing industry statewide. "The casino interests were very successful in thwarting any attempts to have any other types of gaming options at racetracks in Michigan," he says. While it was sad to see a symbolic business close, Klobucher says there are "pros in economic development" for the site now. Keeton agrees, despite lamenting the loss of one of the last horse-racing tracks in Michigan. “In terms of the economics of Hazel Park, it’s going to help a lot. It’s prime land,” he says. New owner Ashley Capital, a New York City-based developer, hasn't wasted any time with that development. Their tri-county commerce center near the intersection of I-75 and I-696 opened in 2017, and earlier this year they purchased the remaining land at the former raceway. 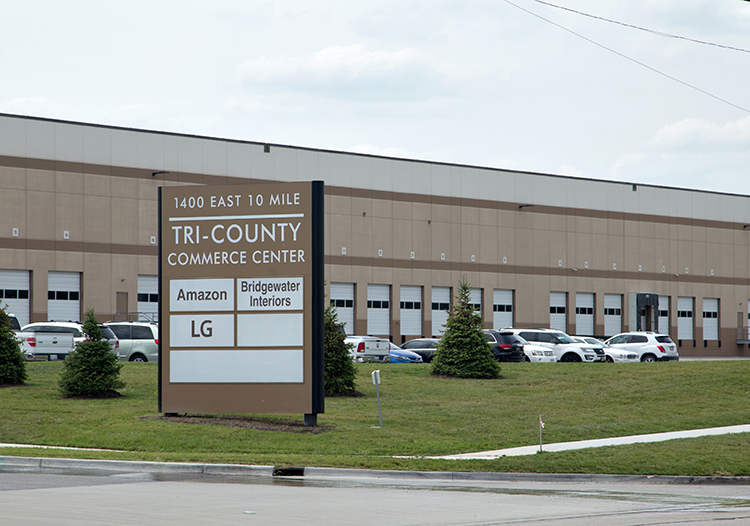 The 575,000-square-foot commerce center is home to tech and commerce giants Amazon, Bridgewater Auto Interiors, and LG Electronics Inc., which is still partially under construction. LG Electronics plans to be fully operational at the commerce center this fall, and will generate approximately 300 jobs between the new Hazel Park plant and expansions at the current Troy facility, says their senior vice president of public affairs John Taylor. The 295,000-square-foot auto parts plant will be the company’s first factory to manufacture Electric Vehicle (EV) components and will be building the batteries for the Chevrolet Bolt, one of the first mass-produced electric cars in the US. "That's pretty cool," says Klobucher. "So we are trying to position Hazel Park to take advantage of the high-tech, green, 21st-century economy." Taylor says LG was impressed with the incentives Michigan, and Hazel Park, in particular, offered when choosing where to locate the new facility. The location’s proximity to clients, training assistance from the state, cooperation with Hazel Park community colleges and the availability of trained staff were a big draw. With the commerce center up and running, plans for two new buildings are also now underway for the rest of the raceway site. The buildings will be developed one at a time and “on spec,” with no set tenants yet, says Ashley Capital’s senior vice president Susan Harvey. 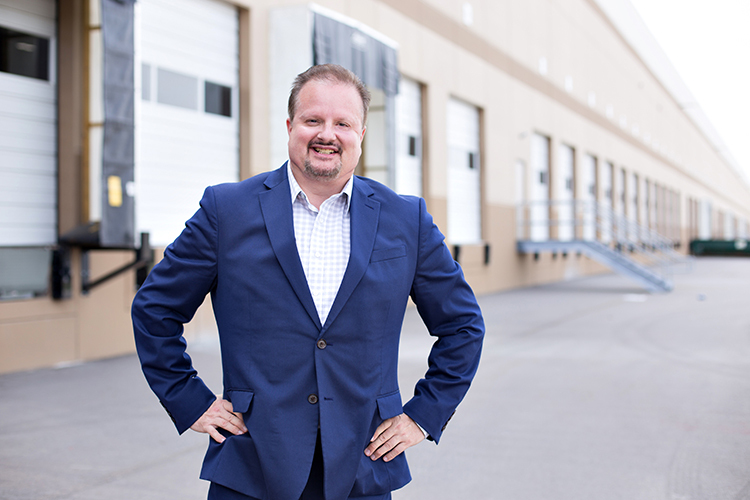 Construction of the first 600,000-square foot center is set to begin in the fall, and Harvey describes the structure as a state-of-the art industrial building. One challenge the developer faced was dealing with the environmental costs of the site. Before being a raceway, the location was used as an industrial landfill spot, and methane levels had to be addressed. The environmental cleanup costs weren’t a surprise to Ashley Capital, but the company does hope to recoup some of the expenses. “With the cooperation of the city and the state, we are now in the final stages of getting our brownfield plan approved,” says Harvey. Klobucher says Ashley Capital has proven itself a worthy partner for the endeavor, and he hopes the new buildings will be as successful as the tri-county center. "That was a home-run for the city of Hazel Park," he says. "I would expect similar tenants. They'll be looking for industrial concerns, and businesses that want to do light manufacturing and distribution." The city won’t forget it’s racing history any time soon though, with Ashley Capital apparently planning to construct a memorial honoring the site’s past as a racetrack, and residents like Keeton keeping stories from the track alive.